Earlier this year, my skin was in shambles. I was trying out a new product for the blog which made my skin go haywire( I will not be showing pictures of this). I knew that something wasn't right but I didn't want to stop due to it's "benefits". I know some of y'all are shaking your head right now. Once I stopped using it.. all the impurities came to the top of my skin. It was not cute... I really needed something to get rid of them. 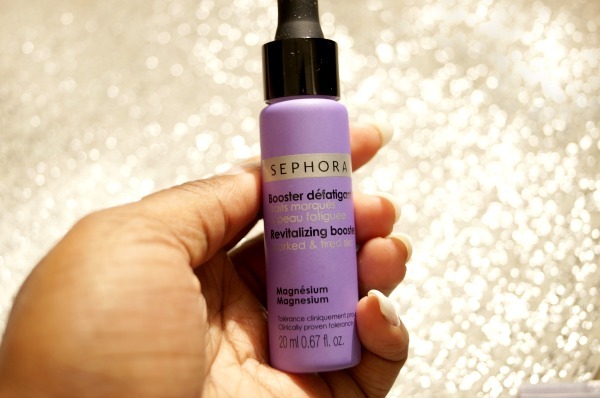 That's when I found SEPHORA COLLECTION Skincare Booster - Tired Skin ($26.00 CAN). I literally went out on a limb with this product. Skin boosters are on the rise. 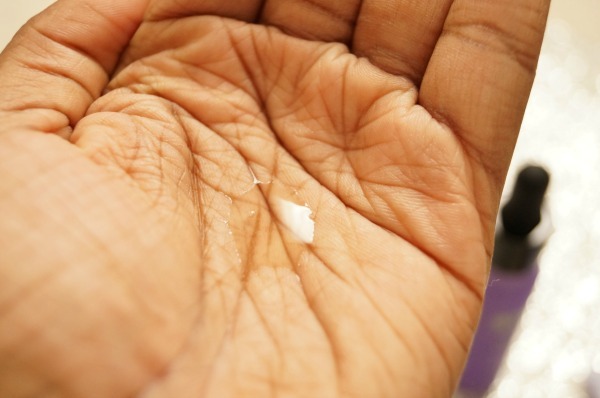 Think of it as a shot of minerals for your skin to improve complexion. I'm in love. This product was extremely gentle for sensitive skin users like me. One of the main ingredient is a high concentration of magnesium. Which can reduce signs of fatigue and brighten your complexion. Use in 14-day cycles at each change of season. 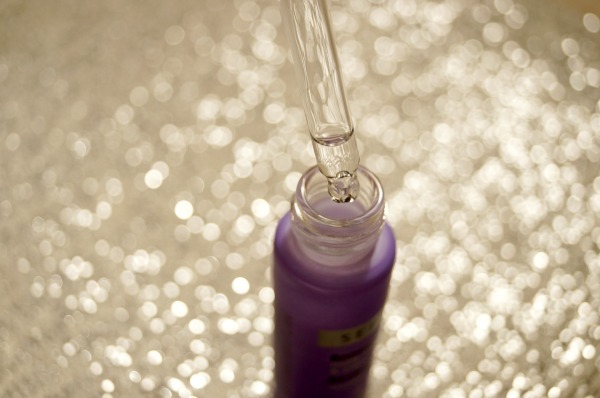 Using the dropper take five drops- mix it with your cream/makeup or use it on it's own. This can be used morning or night. The only picture I have on my phone which show cases my skin. 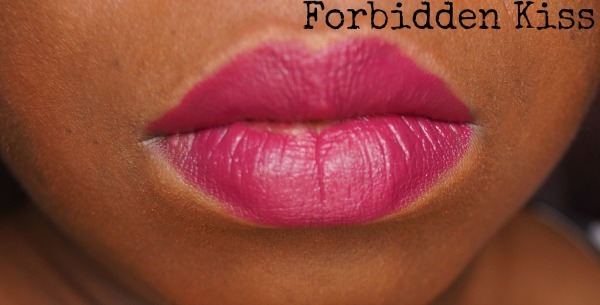 The popularity of matte lipsticks aren't going anywhere any time soon. One complain that I hear a lot is how "drying' they are. 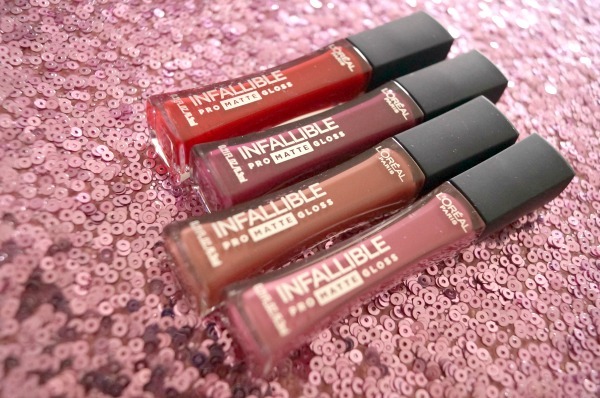 My recommendation would be the L'Oréal Infallible Pro-Matte Glosses ($13.99 CAN). 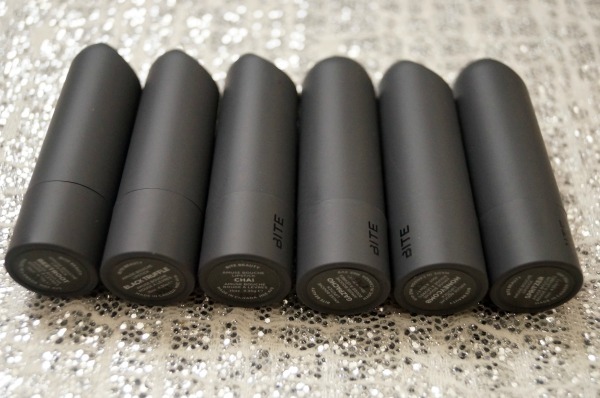 Doe foot applicator perfect for sculpting your lips. 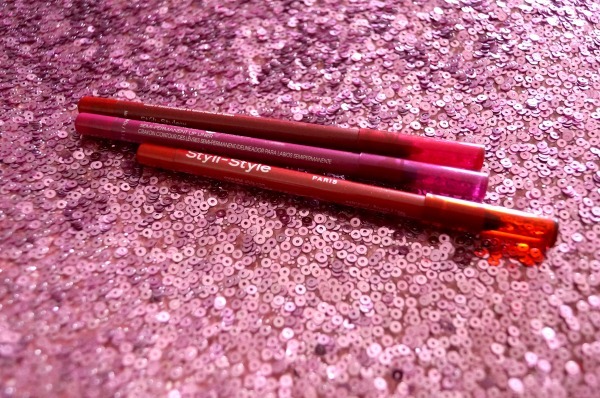 These highly pigmented matte glosses have a velvety texture when applied. They're also long-lasting. Perfect to wear all night! I received four colours but I swatched the two colours that would flatter my skin tone the best. I recently had the opportunity from EOS to attend an afternoon floral workshop at the Bobbette & Belle . I've been obsessed with Bobbette & Belle since my wedding show days: they make amazing cakes & cookies. Plus I'm obsessed with flowers. 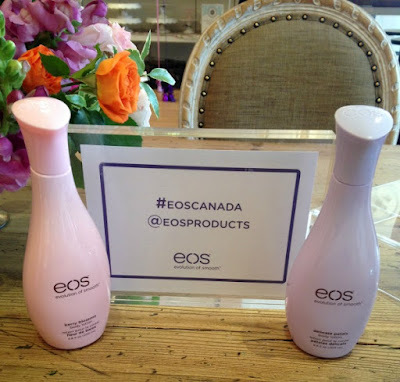 I was extremely excited to check out the latest innovations from Eos- Body Lotions! 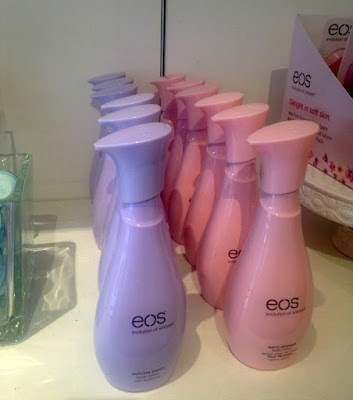 Don't you love this sleek bottle? 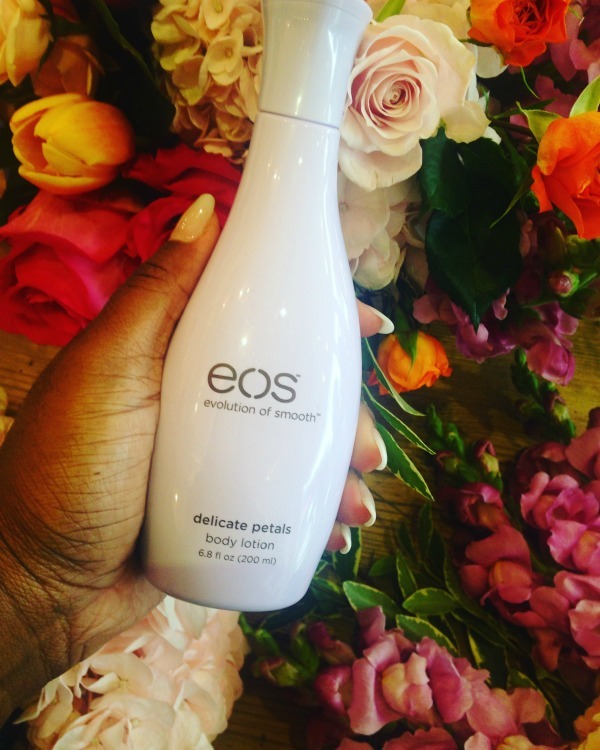 This body lotion contains natural shea butter, avocado oil and vitamin E. It applies sheer but it's still moisturizing. Not like some brands which apply light and totally evaporates an hour later. Although both lotions are scented they're dermatologist-tested, paraben-free, petrolatum-free and mineral oil free. Last year, this time I was getting ready for my wedding. It was hands down the best day of my life. So much work goes into one day. The preparation part is crucial. The Mary Kay Into the Garden Collection is perfect for the DIY bride. This line is LE "Into the Garden™"collection is a collaboration between Mary Kay Global Makeup Artist Sebastian Correa and Brazilian fashion designer Patricia Bonaldi. You will be on them all day! They have to look good. The Into the Garden™ Pedicure Set ($35.00 CAN) is perfect for pampering. You add the foot fizzies to add to your water and soak. Then add the Satin Feet™ Foot Scrub to get off the dead skin cells. I should add that it is a garden-scented. Once you're done put on the toe separators and file with the emery board. There are also polishes in the line**. You will be shaking a lot of hands. Soft hands are needed! Into the Garden™ Soap Set ($20.00 CAN). 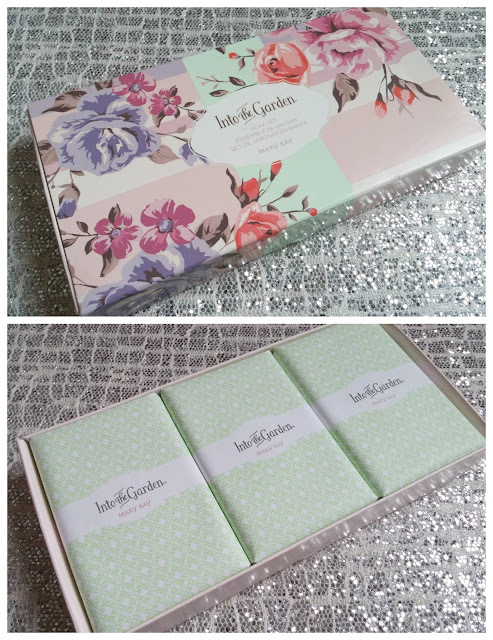 You get three garden-inspired scent soaps individually wrapped in a lovely floral box. 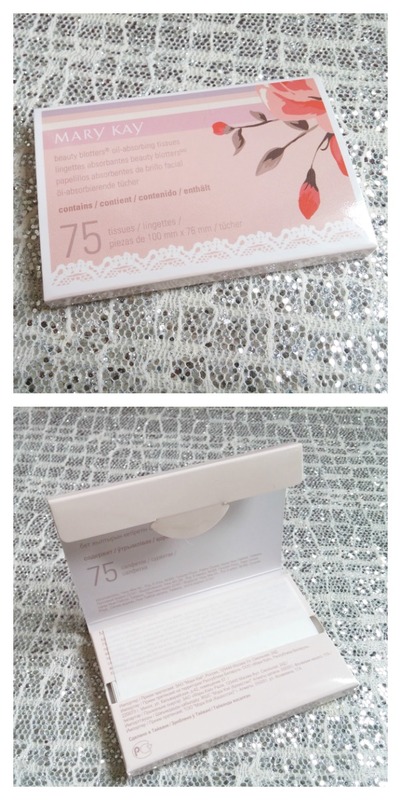 This could also be a cute gift for your bridesmaids. You have to stay fresh for photos! Keep theses in your clutch. If you don't have a travelling makeup artist- these will be your best friend. They will help absorb excess oil and shine- so that it doesn't show in photos. Break out that accent nail! 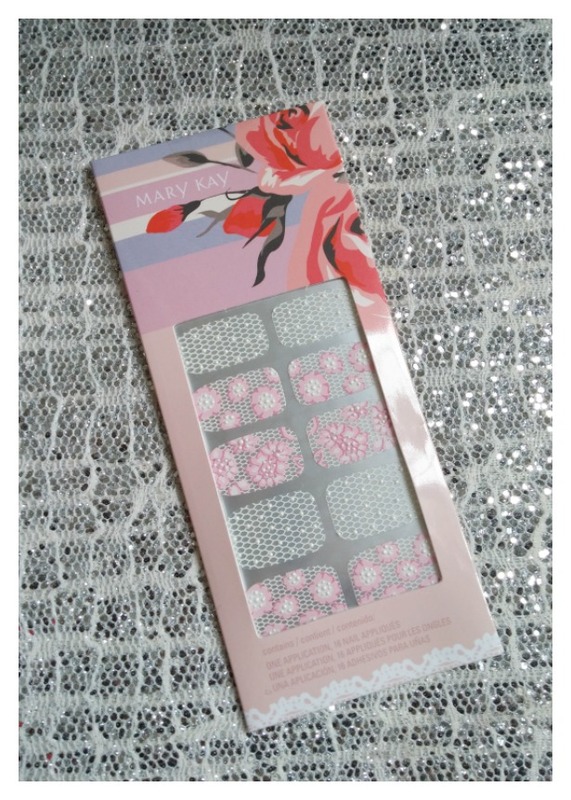 There is a mix of floral and lace designs to play with. The colour combinations are endless! Four garden-inspired eyeshadows plus three sheer glosses. All-in-one compacts are perfect for the lady on the go. I should add that limited quantities available of this Into the Garden Collection. 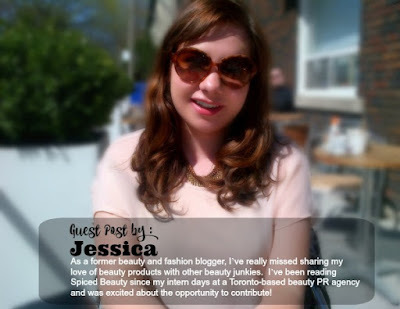 Last month, Jenn and I headed to the Ritz-Carlton Hotel in Toronto to see the new launches Clarins was debuting for Spring 2016. It was quite a fete – there was a dessert bar, complete with a cotton candy machine, macaron lollipops and some bubbly! 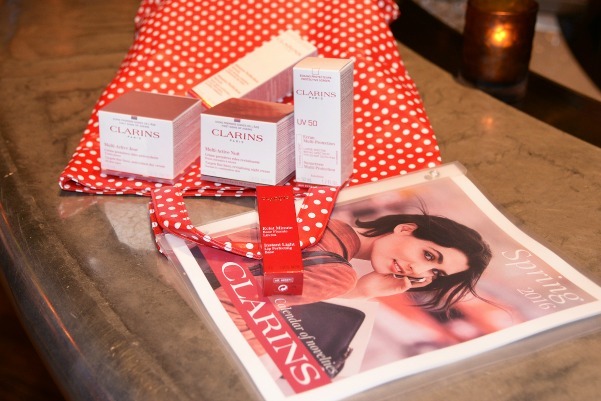 The venue was perfect – the hotel is actually home to the only Clarins spa in the country! The products also did not disappoint. 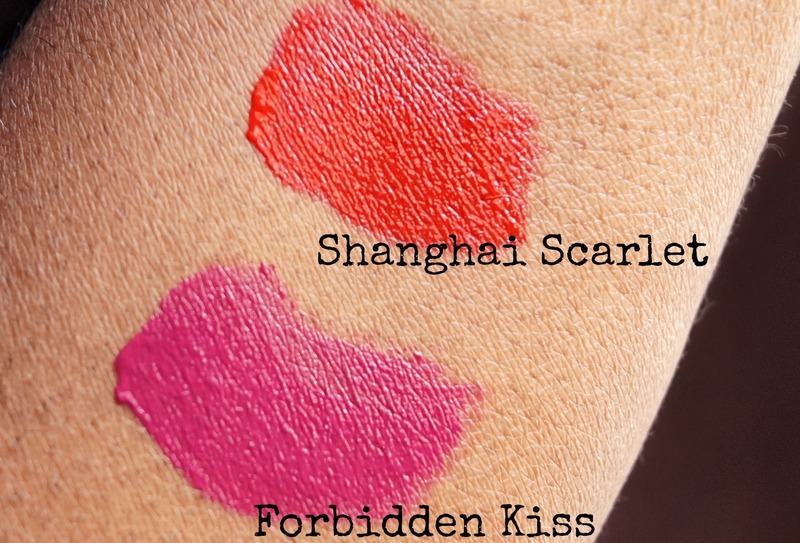 When the Clarins team walked through the product benefits and allowed us to smell the product and get a feel for their texture, I immediately fell in love and began testing them out that evening! Cushion foundations are all the rage lately – French cosmetics brands have perfected the launch, offering sheer, buildable coverage and a trusty compact that is perfect for makeup bags and traveling. 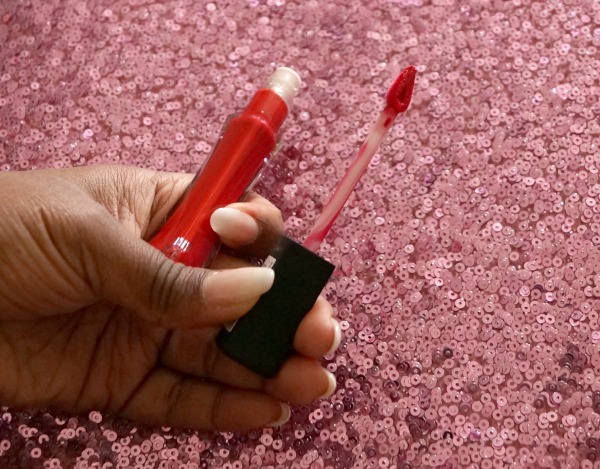 I tried L’Oreal Paris’ take on the trend to see if it stacked up to the rave reviews. 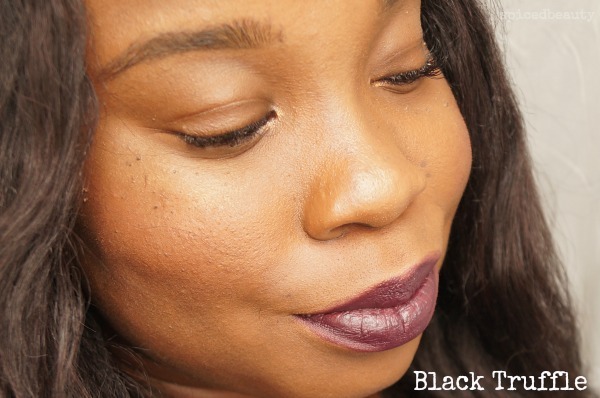 My favourite thing about this foundation is how true to skin tone it is – when I first opened the compact in my shade, I thought that there was no way this would work – it was way too dark. However, upon applying, I noticed it was a perfect match. 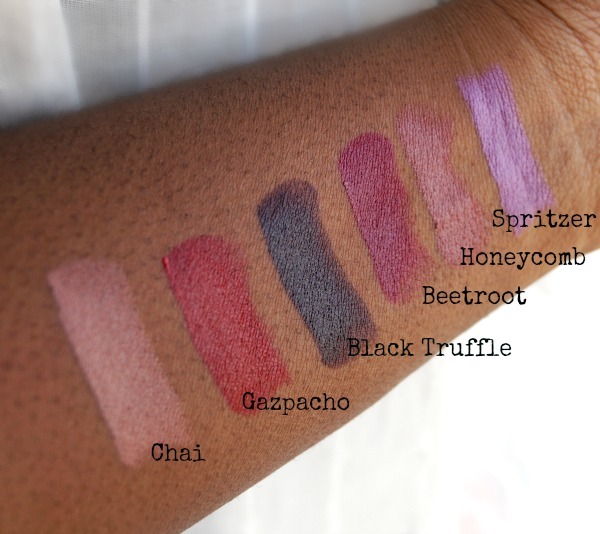 So perfect that even swatching was difficult, you could barely see the product! What you see in this shot is several coats of foundation applied with a stippling brush. This product also gives your skin a luminous glow, almost as though you’ve also applied a highlighter. It’s perfect for a fresh-faced look for daytime. At night, I add translucent setting powder to mattify things up a bit. 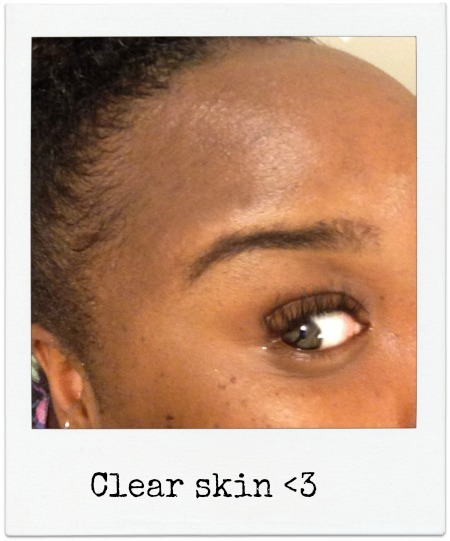 The coverage for this product is sheer-to-medium – it takes a few applications to build it up. If you’re looking for additional coverage, add a creamy concealer to blemishes and under eye circles following your foundation applications. The product range includes 8 shades ranging from “Light Ivory” to “Suntan”. Unfortunately, I don’t think this foundation is a good match for those with darker skins. 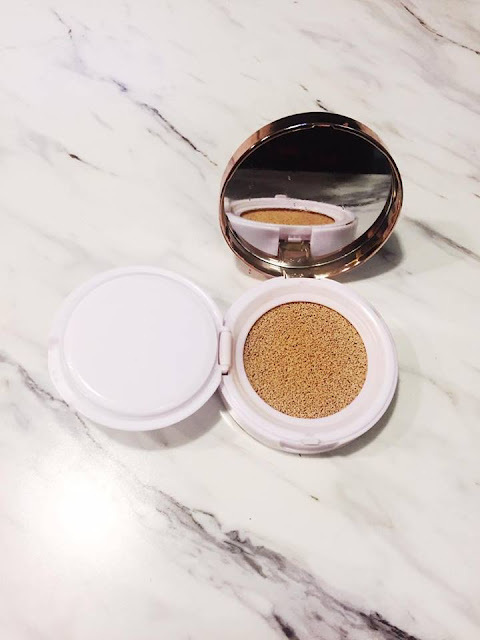 The L’Oreal Paris True Match Lumi Cushion Foundation is available in drug stores including Shoppers Drug Mart and Rexall, as well as Walmart and Amazon.ca for approximately $24.99. Do you use lipliners daily? I should know better but I really never spent the time to apply them. For my clients, I always do it. I guess I was lazy to add another step to make makeup routine. When you think of chemical peels and microdermabrasion, a trip to the spa and a $300+ price tag often come to mind. 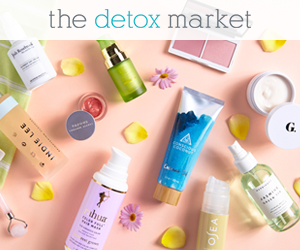 Luckily, skincare brands are releasing at-home versions of your favourite spa treatments for a fraction of the cost. The best part? These treatments usually include multiple applications. Over the years I’ve tried several chemical exfoliators, microdermabrasion and peel kits – scrubs, fruit-acid soaked pads, you name it. 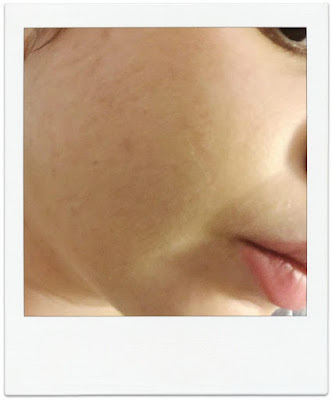 I’ve noticed results, but not enough results to justify the price tag (skin treatments generally cost significantly more than a cleanser or moisturizer). Enter the Philosophy Microdelivery Dual Phase Peel – a two-step peel that sells for under $100. After one use, I was hooked. My skin felt smoother than it’s ever helped before, redness was gone and my skin glowed. This is a great product if you suffer from acne or acne scars, aging skin, hyperpigmentation or sun damage. I love being a beauty blogger. Trying out new products is always exciting. But that's only one side of my life. If you know me, then you know I work with video cameras and computers all day. I love when I find a product that makes my life easier. 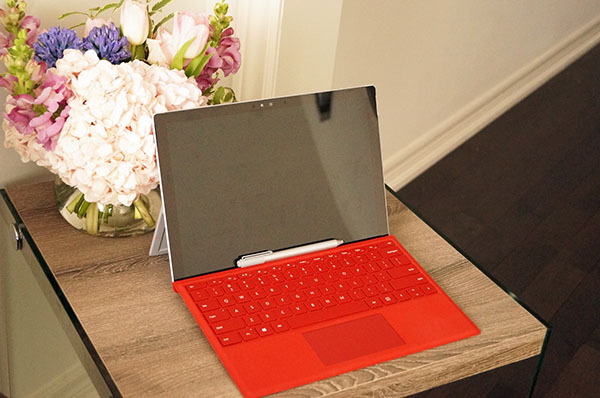 When I was asked if I wanted to try out the Microsoft Surface for Toronto Fashion week, I accepted without any hesitation. 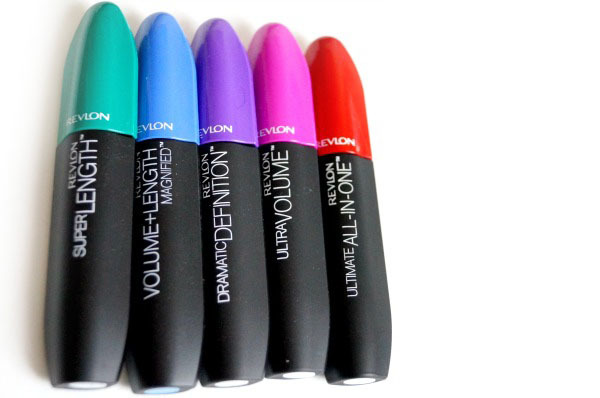 Have you been to the mascara aisle lately? It’s insane! So many brands. So many specifications. What about length and volume? Matte lip products are my FAVOURITE trend. 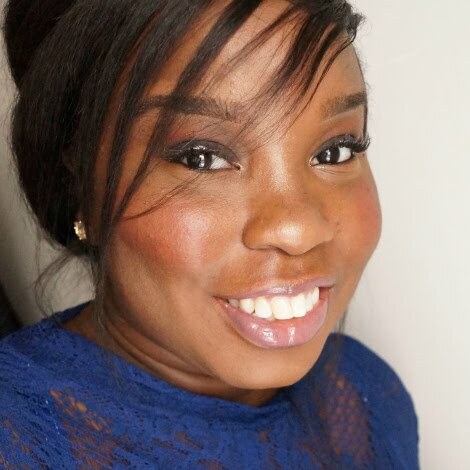 When I was asked if I wanted to try the NUDESTIX Intense Matte Lip + Cheek Pencils in Royal & Belle ($28.00 CAN), it was a YES. 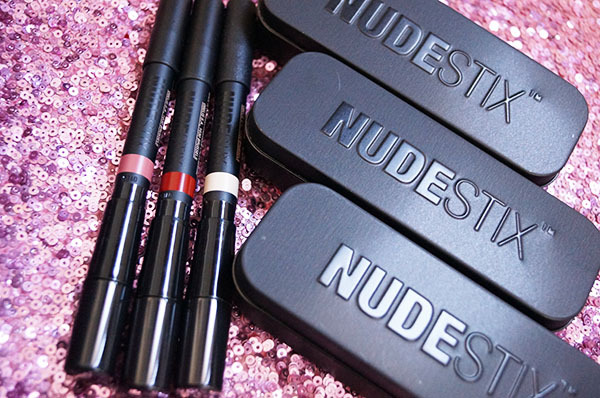 I love Nudestix. 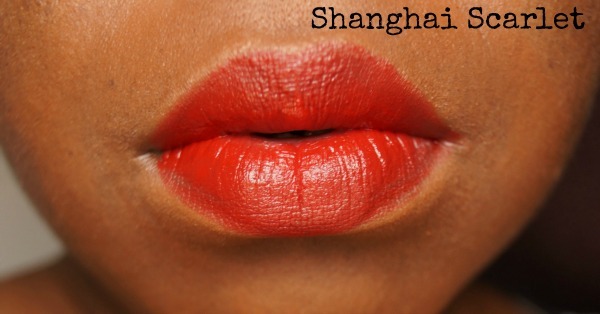 I love everything the brand stands for and how it caters to all skin tones. Although I went to school for makeup, I'm still learning new techniques. Plus discovering products that make life much easier. Sculpting is the craze that is not going way. I blame Kim Kardashian! Although we all can't slay like Kim K, we can try right! MAKE UP FOR EVER’s new Pro Sculpting Palette ($54.00 CAN) is here to help us all slay!